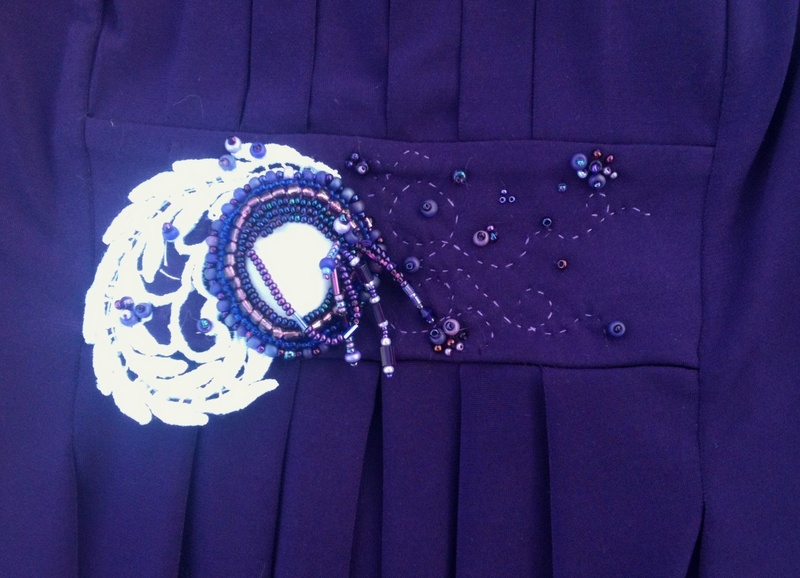 ← Prom Purse Finished – because time ran out! A beautiful purple dress presented itself while cruising the aisles at a National Off-Price Store. It was knit (so very comfortable) with a pleated front that had empire waist shaping defined by a small rectangle. Comfort and shaping – a rather unique combination! With a price of less than $14 – it was purchased. The empire waist rectangle was embellished with 4 (ugly) large black, plastic ovals. I guess they might be referred to as “lozenge” shaped. The lozenges were sewn on – which, of course, to we-who-sew means they are not permanent. Oddly, when I showed the dress to my teenage daughter – she thought the lozenges were the “best part” of the dress? Apparently, the lozenges were sewn on by Sew-zilla. They were sewn on to stay! Removing them left very obvious stitch marks. 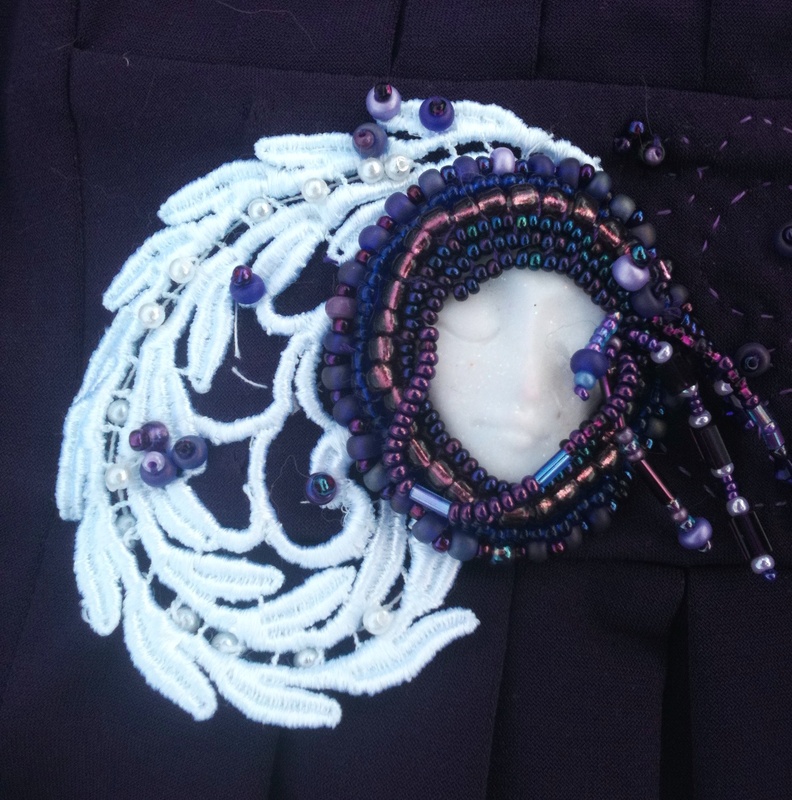 A goddess face, some embroidery, lace, and beads (all from The Stash!) and the dress transformed from Lozenges to Lovely! Wish all dresses were this comfortable! Comfort, shaping and embellishment! Stash Couture! 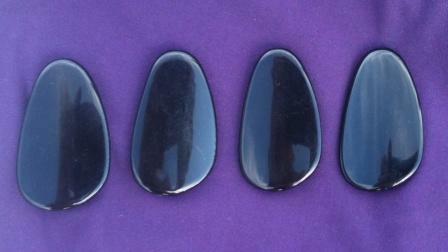 This entry was posted in Embellishment, Goddess, Sewing, Stash Couture and tagged embellishment, Goddess Face Cabochon. Bookmark the permalink.